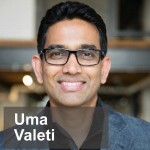 Dr. Uma Valeti is CEO and Co-Founder of Memphis Meats. Uma is laser focused on advancing the commercial viability of meat farmed directly from real meat cells. A cardiologist by training, he believes that meat that is safe and sustainable should be good for the body and the soul. Uma was one of the early Board members of New Harvest, a non-profit dedicated to advancing cellular agriculture research and mainstream adoption of cultured meat. He has extensive business experience and is an investor in a variety of food and tech companies. In addition to his many contributions in health sciences, he wants his biggest contribution to be leading the development of a profitable and a world positive future food system. Fun fact: Uma has rescued several people in cardiac arrest. How long will canned meat last anyway?